HiFashion | UK Fashion and Lifestyle Blog: Wanna join the Aussie fun? Wanna join the Aussie fun? As you all know, I'm an Aussie Angel and I do being one! I've mentioned all the really fun things I get to do by being an Angel (Bloggers Market, Bonfire Night and Lovebox Festival, to name a few), and now it's your chance to be in on the action, and join for a lot of Aussie fun! On Friday, this lovely parcel came. 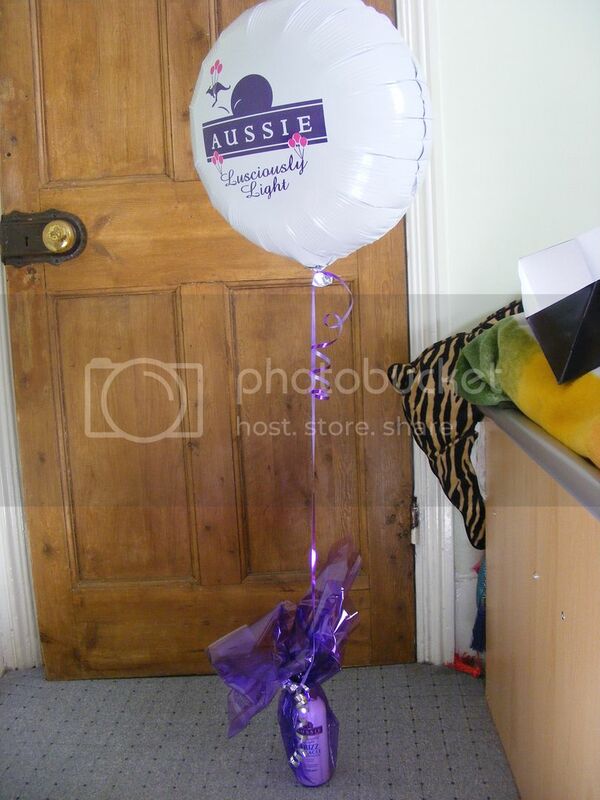 The balloon is amazing and at the bottom it was the new Aussie Light Conditioner. I can't wait to try it out! Aussie is has an opening for 10 lucky people to join Aussie Angels this Spring with theit Lusciously Light Journey and it's really easy to enter. All you need to do is answer the following question on your own blog and then tweet the link to @yummyhair. The question is: "Put a spring in your spring! Tell us, how would you lighten up your life? #AussieLight"
The most creative responses will win and you can do anything from videos, pictures or even songs. The competition will run until the 20th March 2011! Good luck and I'd love for someone from my blogging community to win. P.S. Check out T&C's here. P.P.S. Have you entered my giveaway yet? fashion thing, and this is very useful to me. What a great opportunity! Good luck to everyone who enters! Hey... how come I never get that on my doorstep? would love to be an Aussie Angel, but I use their frizz miracle stuff yet my hair is Not a good advert for their brand. Booooo. OOOoooh how awesome! Good luck to all the contestants! Oh you reminded me about this Sherin! I better share it on my blog too. I so love that conditioner!